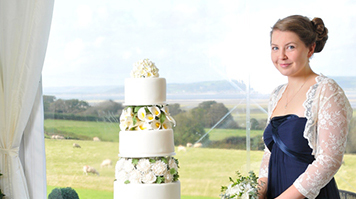 Baking is a highly technical skill and a qualification in this field will make you really attractive to employers. This course will help you to become a specialist manager, teaching you the commercial and technological aspects of the baking profession. 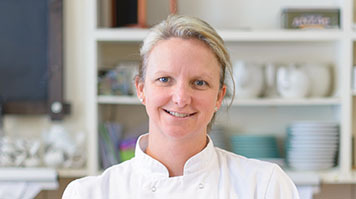 After graduating from LSBU with a BSc (Hons) Baking Technology Management, Rebecca Clements is using LSBU's Enterprise schemes to help start her own business – Becky's Bakes & Cakes. This module introduces you to the technology of Flour Confectionery. It will cover the foundation for confectionery production, manufacture, current market trends and demands, legislation and health and safety requirements. The development is essential in an ever-changing competitive market. Creativity, together with a sound knowledge of customer requirements is essential to the survival and development of the confectionery and baking industry. Assessment: practical exam, (60%), and an assignment, (30% - approximately 2000 words). In addition, you'll be required to attend and maintain a record of all practical sessions (10%). The module introduces the basic concepts and skills that underpin scientific research for baking innovations. It equips you with information gathering competences in order to undertake knowledge based innovation research. Critical analytical skills are gained which are reflected in generated posters, assignments and presentations. Additionally, some basic statistical (and mathematical) competencies are attained for future baking innovation and enterprise research. It also develops some basic skills for undertaking Baking Technology Management research. Assessment: 100% coursework. 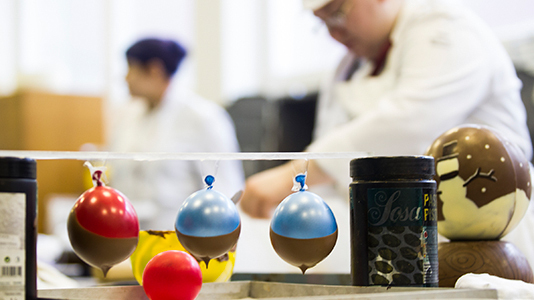 This module will develop and advance existing skills, promoting artisan chocolate production. You'll be coached in the art of individualism for the design and technology of artisan chocolate whilst being aware of client demands and the current market situation. You'll have the opportunity to design and finish products and study the raw materials. It will enable you to evaluate and analyse the factors that contribute and create successful production in Artisan Chocolate. 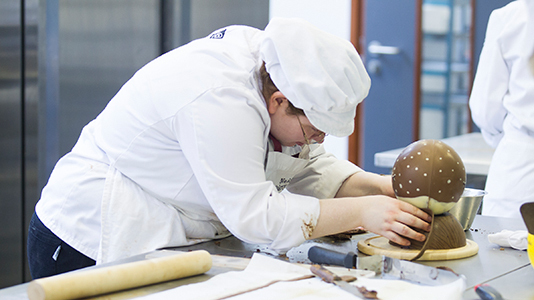 Assessment: 60% practical ability, (approximately 2 hours) & 30% through written work, (approximately 1500 words), including recipe calculations and costing and drawing up of product specifications for relevant artisan chocolate products. You'll also be required to produce and maintain a record of all practical sessions (10%). This module allows you to explore given briefs for product design and development working within realistic budgets and other associated limitations. In addition to this you'll be expected to research and apply a full range of packaging media for the presentation of the developed product. This module also promotes effective principles and practice with respect of bakery design, plant layout and flow processes. You'll design and develop a product within the confines of an existing bakery and ensure that it is effectively packaged and labelled to meet modern day market and legislative requirements. Assessment: bakery practical skills, (40%), written report – approximately 1250 words, (40%), and presentation skills (20% - approximately 10 minutes). This module will enable the student to understand the impact of leadership and financial management functions in order to maintain and improve organisational effectiveness. You'll investigate the nature of leadership and its relation with management, establish the ingredients of effective leadership and research the likelihood of adapting skills to suit individual vs. work team vs. situation. you'll explore concepts of financial management, eo evaluate organisational complexities and aim to identify the effects of the group and the individual on business leadership and financial management. Assessment: assignment (75% - approximately 2500 words), 25%, (approximately 1250 words), work based case study. 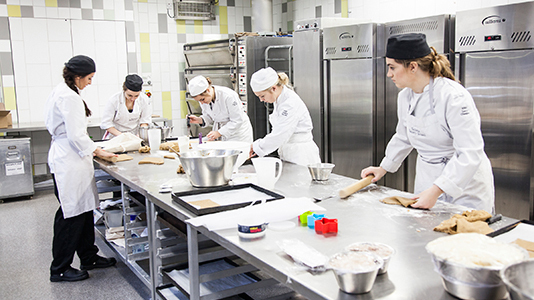 This module builds on Bakery Food Science delivered as a L4 module within the first year of the Foundation Degree Programme, FdSc BTM. The module teaches the scientific principles involved in the development, production and analysis of products produced within the baking industry in greater depth. You have the opportunity to conduct practical applications of intermediate /advanced level applications within bakery science in a laboratory environment/ place of production. Assessment: practical assessment, 40% and written assignment, 60% (approx 1500 words). This module builds upon the L5 module – Advanced Bread Technology. It focuses on both practical skills and theoretical knowledge needed to manufacture artisan breads and related products. The module will address extended bulk fermentation times using sour dough processes in addition to examining the necessary quality aspects. You have the opportunity to research and investigate the extensive range of raw materials used within sour dough production. Assessment: 60%, (approximately 2 hours), practical ability and 30%, Exam. There are also various practical exercises in addition to the maintenance of a portfolio of evidence which will contribute towards 10% of marks awarded. 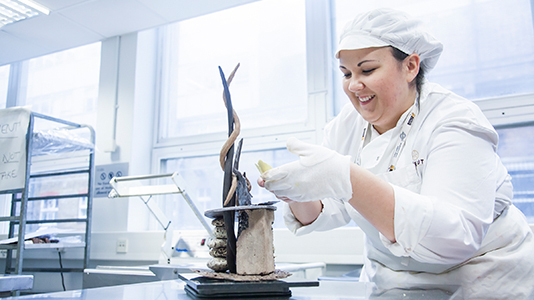 This module seeks to explore the advanced properties of chocolate and patisserie which allow for the development of innovative designs and luxurious continental patisserie to a professional standard. 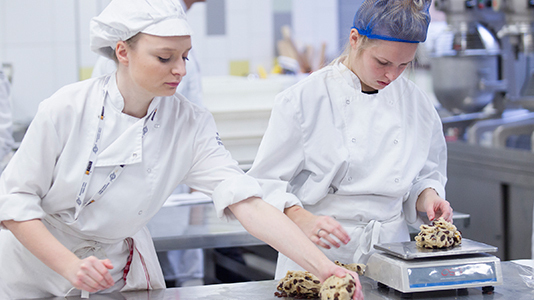 This module focuses upon the business and legal aspects for consideration in the set up of a new business enterprise within the Baking industry. The module also emphasises the importance of quality management and environmental principles and recommended best practices within an innovative organisation, recognising that these two factors join together to address the increasing concern for health, food safety and the environment. It explores appropriate standards, principles and applications to meet these ever emerging needs. Assessment: two pieces of written work. Formative assessment will be in the form of an assignment worth 40% , (approximately 1500 words), based on Environmental and QM Best Practice. Emphasis will be placed on the summative assessment, 60%, (approximately 2500 words), which will focus on an 18 month business plan incorporating legal aspects. 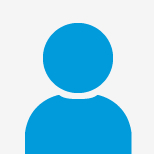 This module explores different scientific philosophies (e.g. positivism and interpretivism), approaches (e.g. inductive and deductive), strategies (experiment, survey, case study, appreciative inquiry, thematic analysis, action research) which informs selection of research methodology to the baking problem of interest. Properties of complexity and uncertainty associated with baking problems are also discussed. The module highlights orthodox and alternative concepts (e.g. analytical thinking, systems thinking) and evaluation (inference statistics, thematic analysis (NVIVO)). Additionally, research design issues are discussed. The competencies gained leads to a baking innovation dissertation which benefits the individual learner and the baking industry. Dr Aouzelleg is interested in novel food preservation and processing methods. He is especially interested in high pressure processing as an alternative to heat treatment. Dr Aouzelleg is also interested in the link between molecular structures and macroscopic food properties. 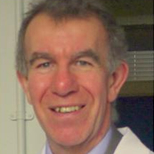 Dr Brock is experienced in the management and economic development of the food, drink and other industry sectors. We are home to the oldest Bakery School in the world, established in 1894. 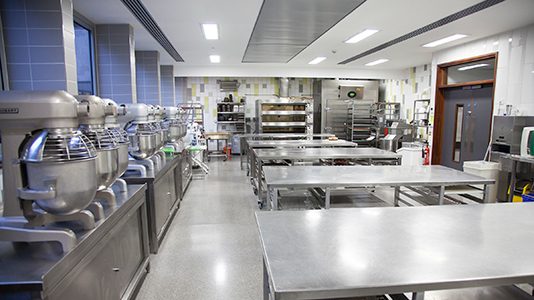 Our testing laboratories and bakeries are fully equipped and staffed to train current and future bakers.